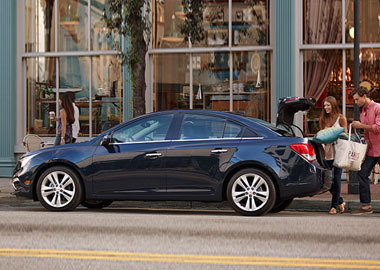 The 2016 Cruze Limited offers more than you would expect to find in a compact car — starting with efficiency. 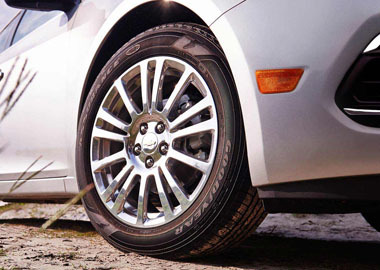 Cruze Limited offers an impressive EPA-estimated 38 MPG highway, and Cruze Eco Limited offers up to 42 MPG highway. 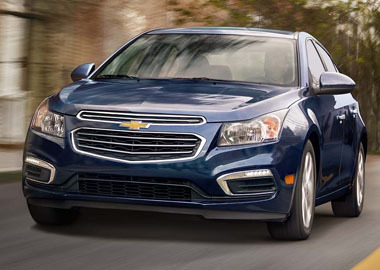 The 1.4L turbocharged engine in Cruze Eco Limited offers an impressive 42 MPG highway. When equipped with the available 1.4L turbocharged 4-cylinder engine with the available 6-speed automatic transmission, Cruze offers up to 38 MPG highway. No matter which model you choose, efficiency is built in. Plenty of room for cargo with an impressive 15.4 cubic feet of cargo space for larger items. Use Bluetooth® wireless technology for access to your music, contacts, hands-free calls and more, Bluetooth connectivity for your phone standard on every model. The myChevrolet and OnStar® RemoteLink® mobile apps let you remotely start your Cruze (if factory equipped), check diagnostics, unlock doors with a phone signal, contact roadside assistance and more. Available for download from the iTunes Store® and Google Play™. Cruze continues to impress. Soft touch details, rich colors and available heated leather- appointed front seats give this ride the ultimate appeal. This compact car offers a host of advanced safety features to help prevent, protect and respond in the event of a collision.